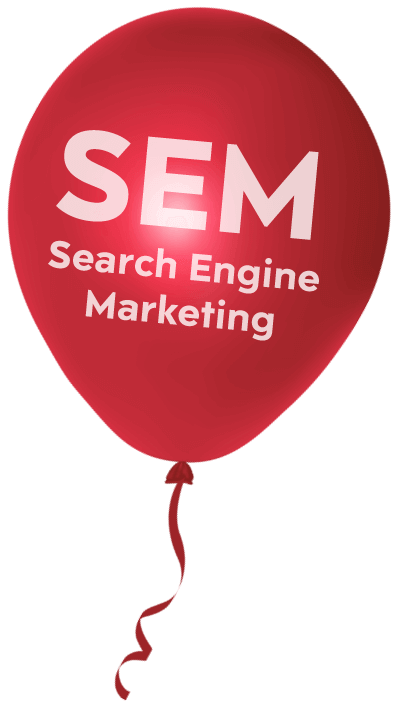 What Is SEM - Search Engine Marketing? Search engine marketing is an additional form of Digital Marketing that seeks to promote your website by increasing its visibility on the search engine result pages (SERPs) through the use of paid placements. This form of advertizing is often referred to as Pay Per Click (PPC). Your SEM strategy would not be complete if you do not add a Re-Marketing campaign. Re-Marketing ensures that clients who have clicked on your ads and visited your website, but have not yet converted are reminded, while they surf the web or social media, that they visited your website and were interested in something they saw. Re-Marketing also builds brand awareness and has very high conversion rates. Many experts believe that this is perhaps the single most important part of any SEM Campaign. Design landing pages for your campaigns results in astronomically higher conversion ratios. Why you ask? Because if the landing pages are designed correctly they will have all the information a user needs inorder to convert. Its all starts with a SEM strategy. Normally we suggest a combination of both Adwords and Display Advertizing. This will give your website a broader reach. Keyword research, banner designs, ad content, landing page design, re-marketing banners and setting up tracking, all must be prepared, budgeted and calculated. A good SEM manager will spend 2+ hours a day on your campaign, evaluating everything. Failure to do so results in very poor performance and wasted money. We offer SEM packages that will truly raise your website's awareness and drive a large amount of traffic to it. They are geared to get you more sales or leads. Should you have any questions please do not hesitate to contact us.